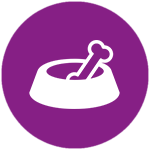 Epilepsy refers to pets that have seizures where no underlying reason is found. This is different from dogs that have fits as a result of health problems such as a liver shunt or brain tumor. More correctly, the full technical name for ‘epilepsy’ is Idiopathic Generalized Epilepsy. You may sometimes see this abbreviated to IGE. The word idiopathic means of a no-known cause, with dogs, most likely having an inherited condition. ‘Generalized’ means the whole body is involved, and epilepsy refers to the seizures. For the purposes of this article, epilepsy is used in place of the more long-winded term ‘idiopathic generalized epilepsy’. Ahead of seizure, many dogs seem aware something is about to happen. They may pace, dig, or become clingy of their owner. These signs are worth nothing as it gives a window of opportunity to medicate the dog and stop an imminent seizure. Wiping out the seizures completely can mean the dog is excessively sedated. The compromise is to reduce the severity and number of fits by 50%. 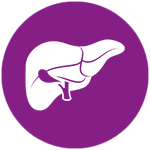 Seizures typically last between 30 seconds and 3 minutes. When the dog recovers they may be quiet, disoriented, hungry, or thirsty. It’s not unusual for some canines to have seizure clusters, or groups of fits within a 24 – 48 hour period. Again, recognizing this is valuable as your vet can supply ‘first aid’ medication that suppresses these extra fits. 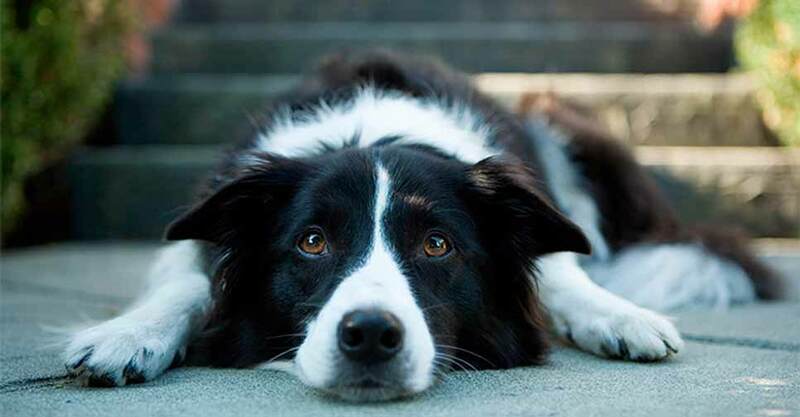 Some dogs experience partial of ‘focal’ seizures. Instead of affecting the whole brain, the abnormal electrical activity is localized in one spot. The symptoms of a local seizure depend on which part of the brain is triggered and the function it controls. For example, the only sign you may see is twitching on one side of the body or face. What implications does epilepsy have for your dog’s life expectancy? 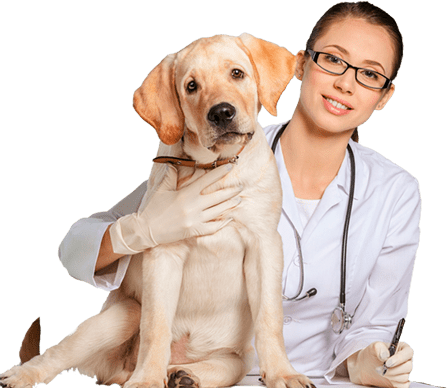 Dog epilepsy life expectancy to some extent depends on the severity of the condition and the medication needed to control it. 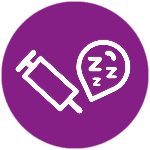 Whilst the majority of dogs do well on medication, occasionally side effects from the medication can shorten life. But when you spot complications early, then a change of drugs may help. A PetPace collar can help you spot tell-tale signs early, such as lethargy, pain, or fever, which can indicate a problem. For some exceptional cases, a dog enters a seizure never to recover. This is known as status epilepticus. Sadly, when a dog doesn’t respond to treatment euthanasia may be the kindest option for humane reasons. 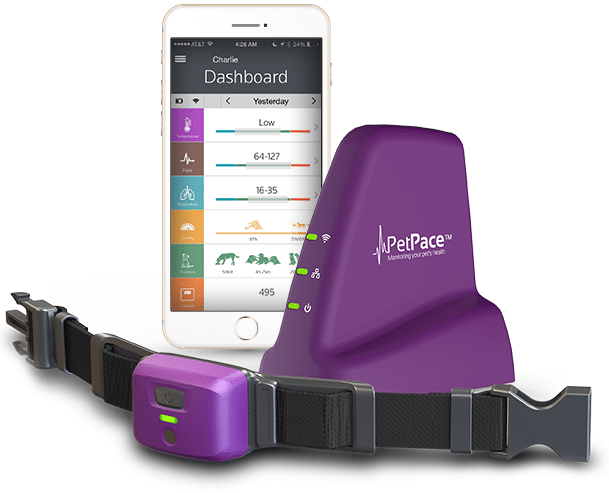 PetPace is the ideal tool to improve your dog’s seizure control. It continuously records vital signs (rate and rhythm, respiratory rate, and temperature) along with activity levels and posture (sitting, standing, lying, or pacing). Should dog epilepsy signs occur, such as pacing linked with early signs of epilepsy in dogs, an alert is sent to your smartphone. Knowing this, you can opt to give additional seizure-preventative medication. On the plus side, when you can’t be home, your canine companion is still monitored. Simply check to app to know all is well. And should the pet have a fit, the event is recorded, ready to aid future dose adjustments. 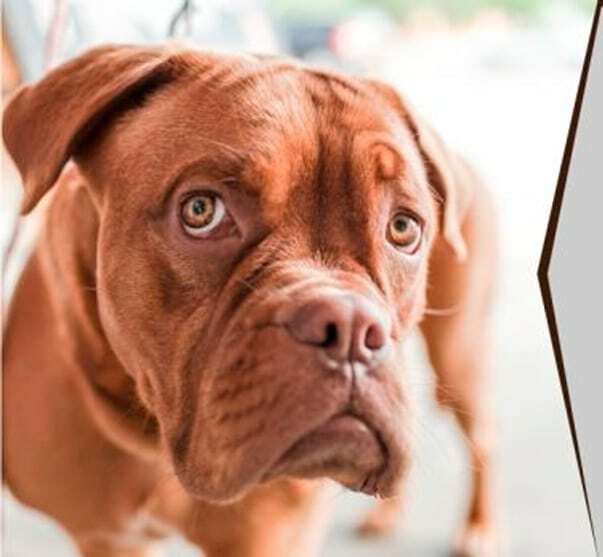 Indeed, pets with problems such as heart disease or skin allergies, will also benefit from the close monitoring PetPace provides; helping the pet’s health and your peace of mind.